Our expanding foam comes in 2 part kits. This kit includes the AB Foam Components. Just mix it and pour in place. This Pour foam has a 2 lb density and Comes in an 80 pound ( 9 Gallons ) kit. If you were to mix the entire kit contents you will get about 40 Cubic Feet of coverage. 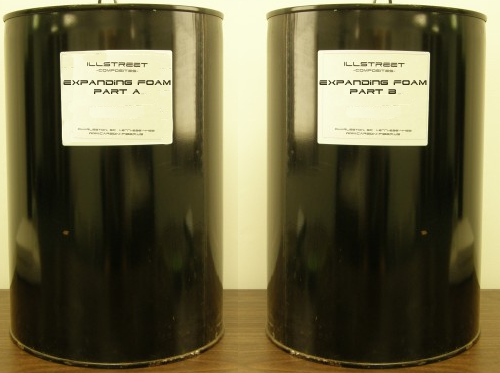 This expanding foam is often used for marine foam applications such as boats, as well as Foam insulation, blocks, arts and crafts, composite reinforcement, etc. 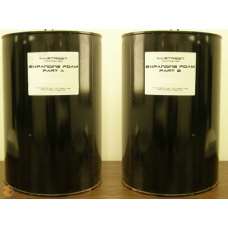 * This two-part liquid, expanding rigid urethane foam is a closed cell, pourable foam, which will resist the absorption of water. * The densities shown refer to the weight per cubic foot of expanded foam (12" x 12" x 12"). 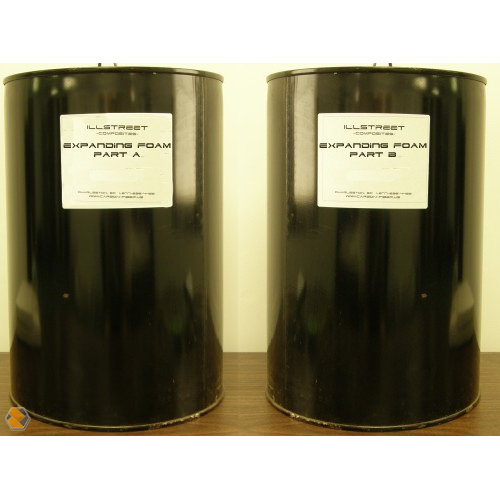 * Once fully cured this foam can be laminated over with any type of polyester, epoxy or vinyl ester resin without melting. * This product can be poured in multiple layers with excellent bonding between layers. * All expansion rates and times given are temperature critical. Temperatures below 75 degrees F will lower the expansion rate therefore requiring more foam. Ideal working temperature is 75 to 80 degrees F or above. * Accurate measuring of these products is extremely critical. * The lightweight foam is commonly used for filling voids, filling under decks and practically any other flotation or insulation application. Higher densities are used for architectural castings, support applications and has virtually an unlimited number of potential uses. Free Rise Density: 2.0 lbs cubic ft.
Buoyancy (flotation): 60 LBs per Cubic Ft.